This is a call for submissions from a really, really awesome project I'm involved with. 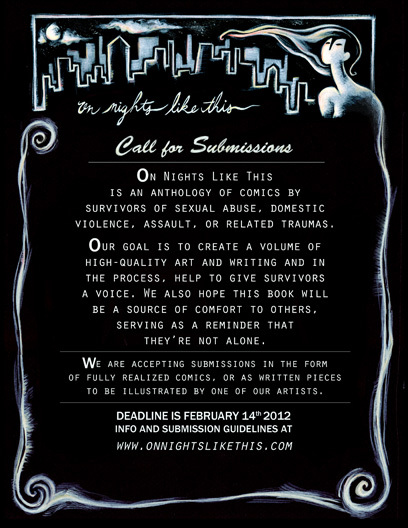 Its a comic anthology by and for survivors of sexual abuse, domestic violence and assault. If you're not a comic, we can connect you to someone who can work with you to illustrate your project.